This year’s IBC Show was truly a battle over whose low-latency service would race to the top of the heap first. 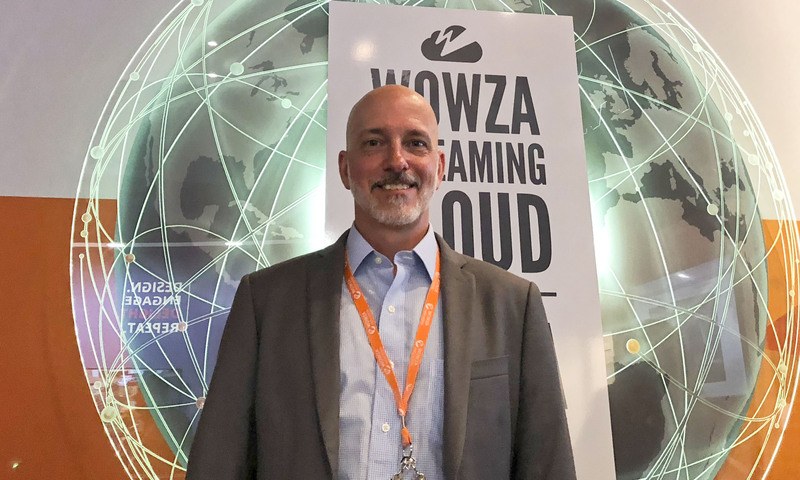 For Wowza Media Systems, they feel the advantage lies in the fact that low latency is something they’ve been specializing in since day one. Out in Amsterdam, Wowza put the spotlight on its new Wowza Streaming Cloud with Ultra Low Latency, an API-based platform that was put into production over the summer. Deployed on top of Microsoft Azure, the platform-as-a-service combines stability and uptime with interactive capabilities—providing what the company promises is sub-three-second streaming for massive viewing audiences around the world. When speaking with SVG, company CEO and co-founder David Stubenvoll shared how pleased he was with the early adoption of the service and how efficiently his team and the technology has been able to bounce back from any early challenges. While the desire to drive latency down is a key issue facing the live sports media industry – especially sports – is obviously top of people’s minds, Stubenvoll feels confident that Wowza has the chops to win the fight not – ironically enough – because of new technology, but because of legacy upon which the company and its tech is built upon. In addition to showing off the latest with its Wowza ClearCaster for high-end publishing to Facebook Live, the company also shared how Wowza Streaming Engine will be enhancing support for WebRTC for better streaming through various web browsers. The software with WebRTC enables browsers and apps to broadcast to the media server without additional encoders or plug-ins.